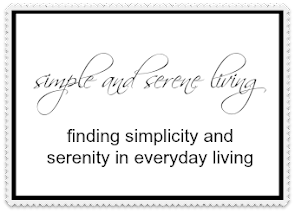 F Simple and Serene Living: what was I thinking? So I got this really bright idea. I mean really bright idea, that I was going to take up yoga. Everyone (okay, I am not sure who everyone is, but it always sounds so re-enforcing) has been telling me how relaxing yoga is. How good it is for peripheral neuropathy and arthritis. How I will love it. It looks so easy. It isn't like I was going to take up the kind where you do headstands or anything. I was going to the senior center and take their free class for ages 60 and up. Ha!!! I was thinking. I'm sure I can yoga rings around those old people. I'm only 63. I bet they are all on their last gasp. Oh boy, as I said, what was I thinking. They handed me a mat, I stretched it out on the floor, I looked around, and said, "ummm, excuse me, do I have to get down on the floor and then get up again?" Apparently so. (This is where I remind myself and you that I have had two knee replacements) It was all down hill from there. I got down, and I somehow (not very prettily) managed to get back up. Then she said we had to kneel. "Ummmmm, excuse me, if I try to kneel on these two knee replacements you will have to call 911." Needless to say, as I limped to my car at the end of the hour, I was rethinking the whole yoga thing. I called my sister in Arizona to tell her I tried a yoga class. After she stopped laughing hysterically she said maybe I should try chair yoga. Chair yoga? I'm sure that's for old people. I'm thinking my next move is straight into tai chi. Could someone pass the liniment please. i've never tried it but always wanted to. but i know it is really difficult at first, too! I went once with a friend. We have a class in our community that I can walk over to! I thought it seemed OK so I bought a mat and all the stuff and went a second time. Well....I noticed my back hurt MORE after a session. I am not comfortable lying flat on my back. I still may go back for the chair yoga sometime but I'm not anxious to return! lol I was so tired the rest of the day and I don't like that feeling. Relaxed? No just tired! I need my energy! Hugs! ha. well good for you for trying. I have only done yoga once, I am too chatty and can't seem to keep quite long enough. the instructor told me I needed to stop talking. have a great weekend. Proud of you for trying, but I think the chair yoga sounds more like my style also. That stuff on the knees is hard and with your implants...yikes! Dear Laura At least you tried. Perhaps you should start a little slower and work your way to a little more advanced. There definitely was no kneeling for me. I just sat there when they were kneeling. If you like yoga,Pam, maybe you could try it at home, There are lots of free videos on you tube. Laughter really is the best medicine, Laura. Have a blessed Sunday. Funny post, Laura. Well, maybe not so funny about the knees. :-( I'm finding that a hip replacement is not like my pre-problem days. Hard when we can't do the things we want to be able to do, have the energy and enthusiasm for, but the joints don't cooperate..
Oh Laura...bonus points for giving it a try at all. Maybe they should have let you ease into it a bit...that's not easy for most people to just start and expect it to go smoothly. I like the idea of chair yoga..and then moving onto something else.